To apply your promo code to your order, follow the instructions below! - Choose the product you would like to buy and add it to your Cart. - Select "View Cart". 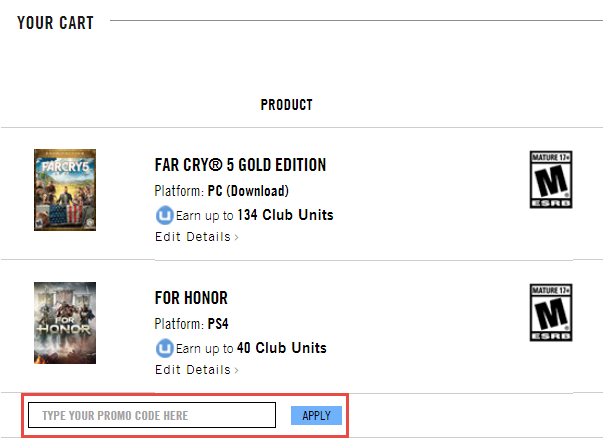 Under the products in your cart, you'll find the "Add Promo Code" field where you can enter your code. - Enter the code exactly as it appears, and hit Apply; the price will refresh to represent the new total. - Finally, follow the on-screen instructions to checkout and enjoy your purchase! Make sure you have the correct promotional code and have entered it exactly as it appears. Codes can be case sensitive so Copy and Paste is always best if possible. 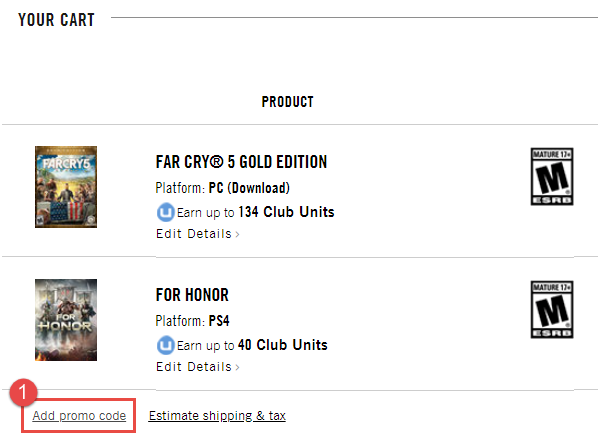 Please note that Ubisoft Store discount codes are not valid for in-game currency purchases and may not work in conjunction with existing offers, discounts, or with other codes. If you have issues redeeming a code, please get in touch and don't forget to add an image of the code in question!